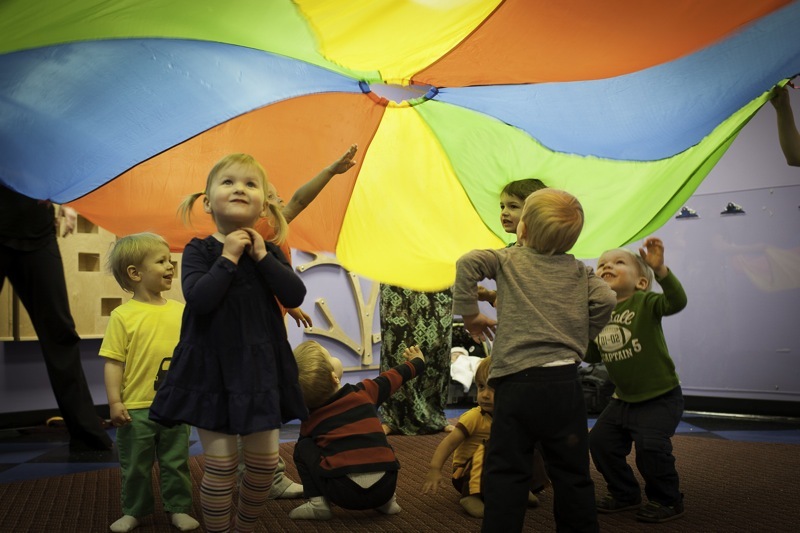 ~ A community of families sharing songs, instrument play, rhythm chants, and movement activities in a relaxed, playful, non-performance-oriented setting. ~ Infants, toddlers, and preschoolers participating at their own levels in family-style classes of mixed ages. ~ Parents and caregivers contributing to the enrichment of their child's music environment -- regardless of their own musical abilities. 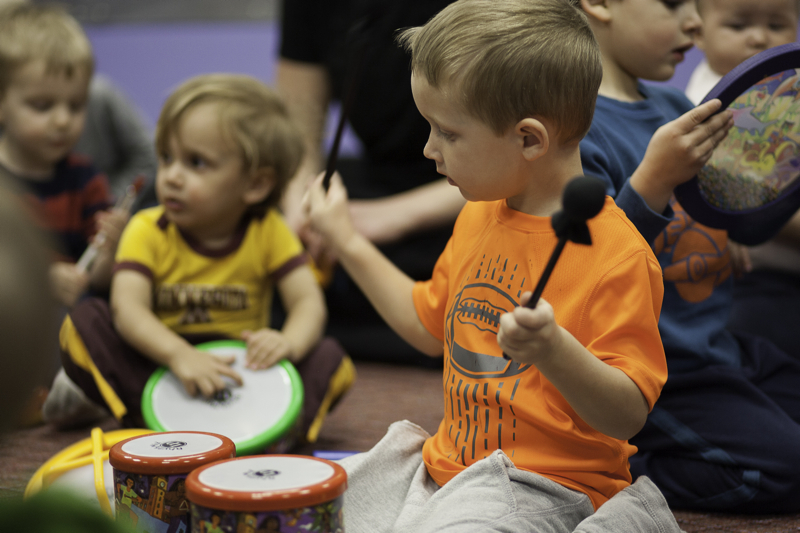 ~ Music learned through developmentally appropriate activities that support and respect the unique learning styles of very young children. ~ A new song collection every semester for three years, featuring great arrangements of original and traditional songs and a wide variety of tonalities, meters, and cultural styles. 45 minutes of PURE FUN with your child every week!